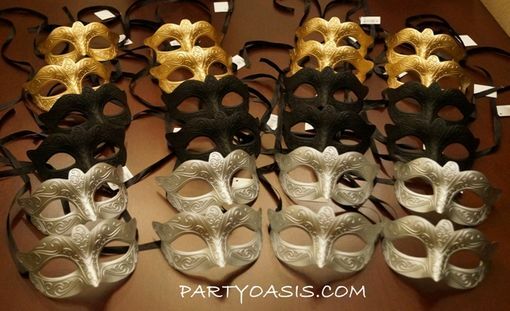 Venetian mask party pack comes with 24 masks. 8 of each color. Colors: silver, black, and gold. Masks are made of comfortable durable plastic. This party pack mask style is also available in sold colors.